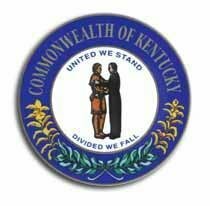 Kentucky Construction Law has been written and edited by the Kentucky offices of Stites & Harbison, PLLC’s Construction Law Service Group, which are located at 250 West Main Street, Suite 2300, Lexington, Kentucky 40507, Telephone: (859) 226-2300; 400 West Main Street, Suite 1800, Louisville, Kentucky 40202, Telephone: (502) 587-3400; and 100 East RiverCenter Boulevard, Suite 450, Covington, Kentucky 41011, Telephone: (859) 652-7600. The lawyers in Stites & Harbison’s Construction Law Service Group include former contractors, construction owners, engineers and journeymen craftspeople, as well as attorneys with backgrounds in business, professional writing and the arts. These attorneys combine top-flight legal credentials with down-to-earth, real-working-world involvement in the evolving, day-to- day problems of the construction industry. The Group’s practice extends from coast to coast and beyond into the global construction economy. Its practice involves representation of all facets of the industry, including construction contractors, design professionals, construction owners, material suppliers, insurers and sureties. Stites & Harbison’s construction attorneys are regularly recruited to write and speak on current construction issues and to provide practical, educational programs to public and private companies, government agencies, industry trade associations and professional societies, and members of the organized national construction bar. Stites & Harbison has offices in the following strategic Southeastern locations: Alexandria, Virginia; Atlanta, Georgia; Covington, Kentucky; Frankfort, Kentucky; Franklin, Tennessee; Washington, D.C.; Jeffersonville, Indiana; Lexington, Kentucky; Louisville, Kentucky; Memphis, Tennessee and Nashville, Tennessee.